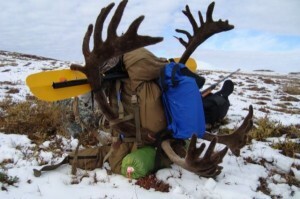 What can I say about backpack hunting that would fully describe it to the uninitiated? Nothing, it is one of those gloriously miserable experiences that requires boots on the ground and gear on the back. There is something very rewarding and fulfilling, in retrospect of course, about carrying everything you need to not only survive but to insistently make you body do task it is not accustomed to. Since at the time I am asking myself why do I torture my middle aged body so? The answer to that is I am sort of a masochist I guess. In continual need to push and test myself, do I know why, heck no. My wife and family think I am crazy and I really can’t argue. Sure upon initially meeting me you would think I am just like most guys in my mid 30’s, family, career and just trying to find my way in general. Now I am very fortunate to have an amazing wife and kids, good job and generally a fantastic life. But there is always this little voice, no not literally a voice I am not that crazy, time to go and stretch your legs a little. When I am out there in the middle of it just soaking up every pain, ache and generally uncomfortable sensation that would normally cause bitching and complaints I feel like I am truly livin. And I am a firm believer that guys and I mean than in a gender neutral term, need to get out and live to fulfill that deeply rooted primal, instinctual, hunter, gatherer, nomadic quality that homo sapiens historically are know for. But enough of my touch feely ranting lets get to the meat and potatoes of livin 2009. My partner in crime and myself do an annual hunting trip in Alaska since 2003. In the past we have done all Moose hunts, mostly fly in fly out or fly in raft out. Great trips see lots of country and generally have a good week in the bush. But for 2009 we wanted to do something a little different. So we came up with a backpack in pack raft out caribou hunt. Sounds great in theory doesn’t it? 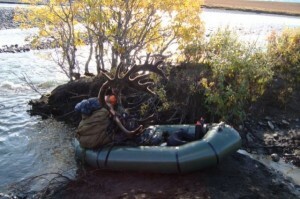 We will hike in with our gear bag a couple of caribou then jump in the river on our trusty pack rafts and comfortable float out our trophies and gear to the take out point. We did our research planed our infiltration route, gear needed and the dates. After going over the gear list and throwing together what I had and estimating the weight of what I did not have 80 lbs was the pack weight I would have to haul. Therefore based on the total weight and the odd shape and size of the gear I would have to carry I began my search for a pack that would best fit this application. Since it was immediately clear my current pack would probably blow up either during my training (best case) or during the trip (worse case). Then I stumbled on to the Mystery Ranch web site. Can’t really remember how I found it but I like to think it was divine intervention from above. The more I looked them more I fell in love. But this was no time to jump to conclusions without some research. So the more I dug and read reviews the more I was convinced this would be the pack for me. Sent a quick email to Mystery Ranch to help finalize my pack selection, which ended up being the NICE 6500 and that was that. So have a plan and a vague idea of what would be required of my physically speaking and started my training regime 3 months out hauling my loaded back pack around the neighbor hood. I don’t know who else has done this but you get a lot of strange looks when doing so. Starting out around 40 lbs and eventually working my way up to 80. Which wasn’t that bad once my office body became accustomed to it. Once it was departure time I was feeling pretty good about the tasks before me and my preparations thus far. Not to bore anyone more than I already have with the long monotonous details of reaching our kick off point but there we were day break in Alaska. All the planets aligned my gear made the long trip from the gulf coast to Anchorage no worse for wear and I didn’t injure myself during training in any way that would impede me thus far. All of our planning and preparation has lead us to this moment, don’t know why but I get really worked up and excited at moments like this. Game time, leave it all on the field. Did the final load out of the pack strapped everything in place and sling it on and strap it tight. Hmmmm I trained with 80 lbs, this doesn’t feel like 80 lbs. This is heavier. Well no one likes a puss man up and get on your way. It was immediately obvious that my pack could handle a much heavier load than myself. Which is fine by me, I hate being limited by my equipment. Off we go on our trip that some think we are crazy to attempt other think we will come running home crying that we couldn’t handle it and had to abort. One thing about me any my Alaska hunting buddy we will finish the trip with bloody stumps before quitting. I would call it being tuff more stupidly. I really don’t think we are smart enough know when to stop. Let me get something off my chest here. I HATE hiking in the tundra. Now we are making the blazing pace of about 1 mph on this lovely cross country or cross tundra hike. We defiantly are not a couple of highly conditioned Olympic class athletes but we aren’t in that bad of shape, this was a little blow on our moral. 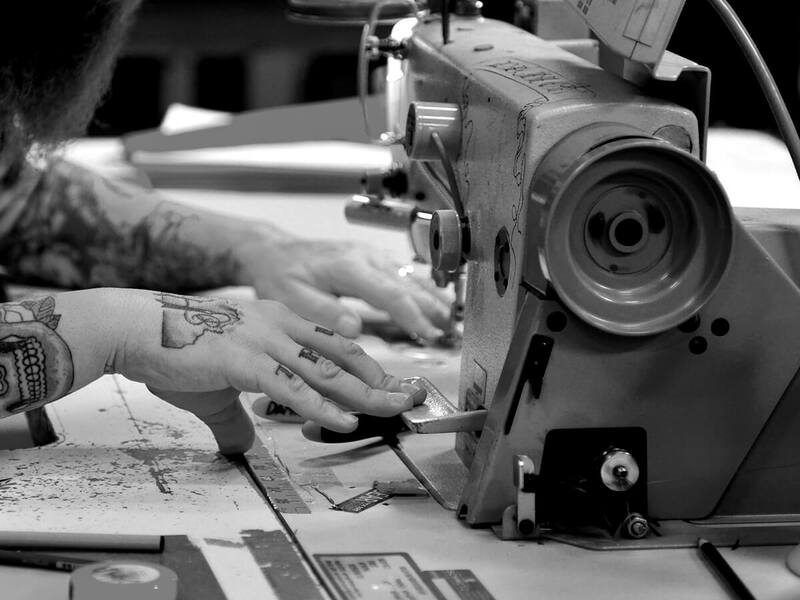 But as the old saying back home goes “It is what it is” so once we accepted our pace and just went to that little happy place in your mind that you go to when you have hours on mind numbing, leg burning, lung exploding grinding to do. Hey look at that just a short 6 hours later we reached our camp site. On the positive side we were seeing more and more caribou during our torture session which was a great motivator. All in all the pack was great I didn’t have any sore or tender spots and all my gear made it. At this point in the trip I was feeling great about my pack selection. Setting up camp was easy enough, throw up a couple of tents get our camp kitchen set up and cook some viddles. We are in severe need of caloric intake we just asked serious questions of our bodies that thank goodness it was able to answer but now it was time for reciprocity. Freeze dried food never tasted so delicious. No rest for the wicked time to track down some game, off we go. 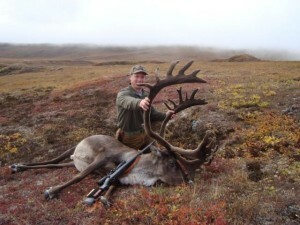 To sum up the hunting my buddy bagged his caribou the first evening. It was a nice bull in full velvet which did not shed, very sweet looking. Then two days later I put my bull down with a 250 gr Nosler Partition tap via one of Mr. Weatherby’s brilliant offspring. Well with the easy part over now we had a lot of packing to do. 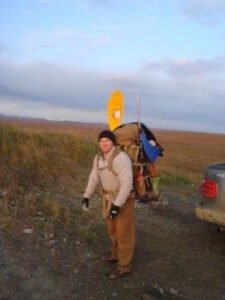 There was all of our gear plus two caribou to pack down to the river 2 miles away. The one good thing about multiple trips, at least the pack is light during one leg of the hike. No complaints on the pack in regards to hauling out the caribou. 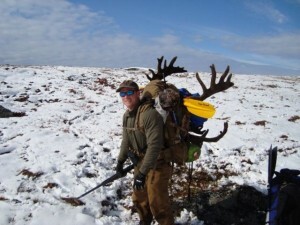 There was plenty of room for meat and lashing points for tying large caribou antlers to. Half a day later we had our camp moved and our animals down to the river. Alright pack, you can rest now, this here pack raft is going to do the work from here on out. Let me say I am not a rafting person. Until I started hunting in Alaska I had never been in raft. My rafting experience consist of two previous trips, on one that I rafted alone. Also a pack raft is a little on the small side hence there pack ability. In comparison about the size of the top of a desk. So I had about 85 lbs of gear, caribou quarters, antlers and myself to fit in this water craft. Well no worries, should only be class I and II rapids here and there. I generally understate things when I talk about them but I guarantee we went thru at least a dozen class III sections of rapids. Did I mention I am not a rafter? I have never been so cold in my life. I have a new found appreciation and respect for the boys that put themselves thru BUDS training. How do they do that day in and day out? We were basically sitting in 40 ish degree water for 8 hrs while navigating to our take out point. Stage 2 hypothermia was reached. The water stopped feeling cold and talking was labored. Troy apologized several times thru his chattering teeth since it was his job to research the river conditions. We did reach our take out point at dark of course and I stripped immediately. Modesty be dammed I am tired of being wet. Troy caught a ride to his truck and we were heading back home within a couple of hours of hitting the beach. All in all the gear I selected for this trip performed as expected or better. My NICE 6500 hauled everything I could throw in or strap onto it. It is none the worse for wear even after acting as my wave breaker for 8 hours. Looks like new and ready for the next adventure. Absolutely a well built pack made to take more punishment than this ole boy can dish out. We are already planning to do the same trip again. I told you we weren’t smart.